Increasing the reading ability of young people is a major focus of critics of schooling, and prescribed remedies constantly rain down upon us. It is refreshing, then, to re-visit Richard Allington’s What Really Matters for Struggling Readers (2006, 2nd edn. ), as I (Clive) have recently done. These “other activities” – such as extra phonics teaching, correcting pronunciation, asking comprehension questions – mean that children are interrupted in their reading. Apart from reducing reading time, this means children become used to being interrupted and read in a slow, hesitant manner, with half a mind on when the next interruption will come. While attempting to support teachers in their reading instruction, then, it is essential to respect their professionalism so they are free to adapt to what works for individual students and give students abundant opportunities to read in peace. This term I (Clive) have two wonderful graduate classes, each with 25 students. One is on Foundations of Curriculum Studies and the other Reflective Professional Development. As part of the community building effort we go to the pub after class three times during the twelve week term (that evening we finish the class half an hour early). This week we had our second pub visit in both classes. As always, I was impressed with how enjoyable it was and how much we got to know about each other. Only about half the students came, due to the frigid weather, family responsibilities, and school classes early the next day. But it was nevertheless entirely worthwhile. Other strategies to build a social culture include: sitting in a large circle for most of the evening; having the students say each other’s names around the room each time we meet; chatting and joking at the beginning of the class and at other times; each student giving a brief presentation on their emerging essay topic (2 or 3 presentations a week) with responses from the 3 students sitting to their left or right; small-group discussions on interesting topics, with everyone in each group reporting back. All this leaves less time for me to talk, but I find the students say at least 90% of what I would have said; and anyway, I get to choose the weekly topics and readings. It is only a 36 hour course, shorter than most school courses, yet a real bond is formed. The social atmosphere adds greatly to the enjoyment of the course and the discussions are deepened. It may not seem very “academic,” but I wouldn’t do it any other way! Clare and I (Clive) and our wonderful research team are now in year 13 of our longitudinal study of 40 teachers, 20 of whom began teaching in 2004 and 20 in 2007. Every year we interview them and, wherever possible, observe them in their classroom s. The Social Sciences and Humanities Research Council of Canada (SSHRC) continues to provide funding for the project and will do so for at least another 2 years. We are now gearing up for the 2017 interviews beginning in late April. Of the original 45 teachers, 3 have left the study and 2 have dropped out of teaching, a remarkable retention rate. As the years mount, interest in the study grows. Four of five proposals based on the study for the 2017 AERA Conference in San Antonio were accepted for presentation. 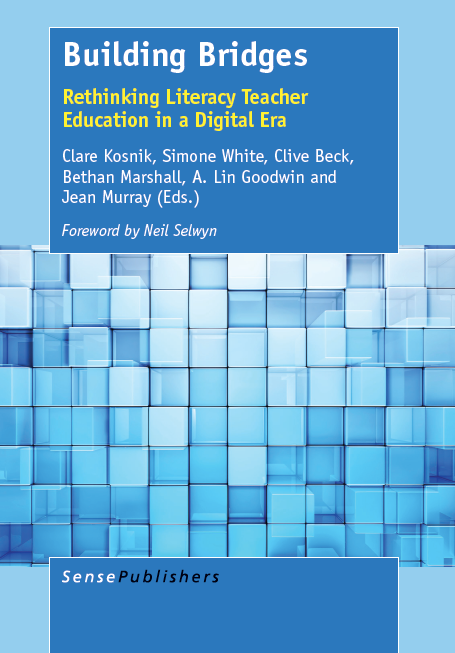 We were also asked to write a chapter on Longitudinal Study of Teachers for the Oxford Research Encyclopedia of Education, to appear this year. For their part, the teachers continue to show resilience despite the increasing challenges of teaching (which they tell us about), including: larger class sizes, reduced special education support, increased standardized testing of students, and top-down control of teachers’ practices. Based on the study, perhaps the biggest problem we see in education today is this ill-conceived, top-down monitoring of students and teachers, which does very little good and a great deal of harm, and ignores the steadily developing expertise of teachers – which again our study reveals. We can only hope that governments and school systems soon begin to realize the harm they are doing. Meanwhile, we work to encourage teachers to look for the many opportunities for decision-making and professionalism that still remain in school classrooms. A Tribe Called Red just released their much anticipated album entitled, We Are The Halluci Nation. The Tribe Called Red is the Canadian-based music group comprised of First Nations members who merge electronic music styles along with contemporary powwow music. Their latest album features many artists (both Canadian and international) and focuses around the themes of decolonization and unification. After listening to this powerful album several times this past weekend, I decided to incorporate it into my course Building on Reflective Practice. Since we have read some of Freire’s work about “reading the world” I thought analyzing this powerful and politically driven music would be an excellent way of tying together theory and practice. Students will be asked in pairs to “read” a song of their choice by analyzing, interpreting, and synthesizing. What story is being told? How does the work compare with other similar works? What cultural, economic, or political forces influence the work? What historical forces influence the work?What can you do in your daily life/classroom to contribute to shifting the narrative of colonization? This will be followed by a listening of the album interspersed with insights and discussion from the groups and whole class. Below I am including the official video for the first song off the album. When we hear the term “courage” we often think of someone dashing into a burning building to save a child or an unarmed individual wrestling to the ground someone with a gun. Yes these are courageous acts but I (Clare) want to talk about an unsung group who I feel have the fortitude and tenacity to be courageous. In our study of literacy teacher educators which we have written about on this blog we shared some of our findings showing many examples of truly exemplary teaching. We are currently working on a paper about 6 literacy teacher educators who use a constructivist approach to their literacy courses. In this era where education is highly politicized with mandated national curriculum and oversight by external bodies it takes “guts” to adopt an approach that includes: knowledge is constructed by learners; knowledge is experience based; learning is social; all aspects of a person are connected; and learning communities should be inclusive and equitable. 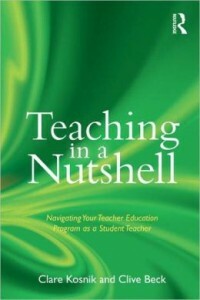 Constructivism does not mean that you discard traditional forms of teaching (lectures, assignments, and readings) but it requires the teacher educator to have an inquiry-orientation; not just model good teaching but unpack it with their student teachers often revealing their own vulnerabilities; willingly to admit that they learn from their student teachers; have courses that are organic because they respond to student teachers’ needs; and build a social and intellectual community — often blurring the traditional lines between professor and student teacher. Yes their courses can be somewhat messy because they create space for discussion which often veers off from the plan but they are addressing student teachers’ needs. To teach in this way takes courage because they are teaching in a way that they most likely did not experience as a student. A constructivist framework which is both a philosophy and a pedagogy may be a more useful approach to reform than the endless lists of expectations. These literacy teacher educators trusted themselves and their student teachers. 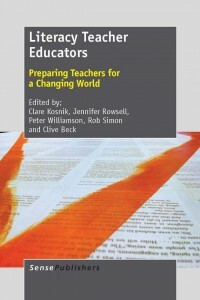 The next step is for governments to trust teacher educators. And we need to applaud their courage to think outside the box and truly focus on their student teachers. As I read it my heart sank for these new teachers. I recall my first year of teaching (I lost 15 lbs. between September and December) from sheer work. Does it have to be that way? And given all that we have learned about beginning teachers I am not sure how much the situation has changed. Yes the first year of any new job is going to be a challenge but does it need to feel like “fraternity hazing)? I think no. This is the first story in a three-part series about teacher preparation and whether programs are doing enough to prepare new teachers to take over their own classrooms. MIDDLE RIVER, MD—On a chilly November morning, Michael Duklewski stood outside his seventh-grade classroom as students filed in, some shoving each other playfully, others still half asleep. One by one they took a piece of paper from a bin by the front door and made their way to their seats. “Good morning!” Duklewski, 33, said in a loud and confident voice over the classroom chatter. He closed the door and paused. A wad of paper flew through the air. “I’m warning you man, the next time I see someone throw something, it’s lunch detention,” Duklewski said sternly, looking at the student who had thrown the paper. As students in this second-period English class began to work on their warmup drill—to define the terms “setting” and “mood” in literature—the chatter continued. Duklewski walked over to the chalkboard in the front of the room where he was tracking the points for good behavior that each class had earned. Next to “second period,” he erased the number 14 and changed it to 13. “Ladies and gentlemen, I already took off a point,” he warned. He waited as the conversations slowly died down, before launching into his lesson for the day on the play A Raisin in the Sun. Duklewski, one of a growing number of career-changers that enter the teaching profession each year, switched from political lobbying to education after volunteering at an after-school program in Baltimore. This school year is his first, and it has been even tougher than he imagined. In the second week of September, reality hit. “I was like, ‘Oh God, I don’t know what I’m doing here,’” Duklewski recalled. Duklewski is one of three teachers The Hechinger Report, which partnered with The Atlantic to produce this story, has followed over the course of their first year to look at how training programs prepare new teachers for the classroom—or don’t. As the American education system faces a drumbeat of criticism for its stubborn achievement gaps and lackluster performance compared to other countries, education schools are under attack. Traditional education schools are trying to reinvent themselves, and alternative fast-track routes are popping up to offer shortcuts to the classroom. Both models seek to help prospective teachers deal with rising standards, increasing student diversity, new technology and, inevitably, the gauntlet of spitballs, note passing, and, these days, illicit texting. While aspiring educators now have more choices than ever before when it comes to launching their careers, new teachers continue to leave the profession at an alarming rate, suggesting a breakdown in training and support. At the same time, there is little evidence to show which education programs are graduating the most successful teachers or what kind of support is most helpful for rookies. Duklewski chose the traditional route to becoming a teacher. In 2015, he graduated from Towson University, a state institution outside of Baltimore that has been training teachers for more than 150 years and graduates nearly 700 new teachers each year. He selected the school because of its strong reputation, and it helped that his mother earned her own teaching degree there in 1972. His course of study took two years, including more than 20 classes and 16 weeks of full-time student teaching—typical for traditional programs, which provide more in-depth pre-teaching training than most alternative programs. Duklewski was hired to teach seventh-grade English language arts at the same school where he completed his student teaching experience. He was familiar with Middle River Middle School’s administration and policies and already knew many of the nearly 900 students in the sprawling, single-story brick building, located in a suburb of Baltimore. Though Duklewski said surviving the initial year hasn’t been easy, many first-year teachers are so traumatized they don’t come back at all. Data on new-teacher attrition varies, but studies have found that anywhere from 17 percent to 46 percent of new teachers quit within their first five years. If teachers were trained better, more might stick around, experts say. “We’ve gotten into a habit of accepting that we treat the first year of teaching like a fraternity hazing,” said Kate Walsh, president of the National Council on Teacher Quality (NCTQ). “People say, ‘I just don’t think you can learn this ahead of time.’ Well, you need to set up those conditions ahead of time,” she argued. 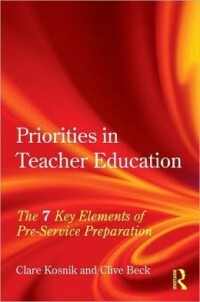 Is it possible for teacher programs to prepare educators with everything they need to know on Day 1? Maybe not everything, according to the three teachers we followed. For Duklewski, although he’s struggled at times with unruly students, he’s not sure what else his teacher education program could have done. 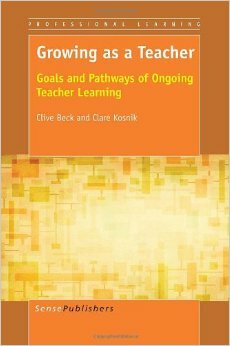 There’s no better way to learn how to teach, he argued, than just jumping in and doing it. Back in second period, Duklewski, wearing black dress pants and a blue polo shirt, continued to give directions for the next part of the lesson: using evidence from the A Raisin in the Sun script to draw a diagram of the set. Four minutes in, second period was down to 10 good behavior points. “Don’t draw on your arm,” Duklewski told one student. He ignored a student hitting himself in the face with a red folder. Duklewski stared down a chattering group of students until they started working again. It was now 10 minutes into the period. Duklewski stepped up to the overhead projector in the front of the room and counted down from three. The class fell silent. “Our purpose is to find details about the staging of the Youngers’s home,” Duklewski said, referring to the family in the play. “What rooms are there? What things are there?” Some students raised their hands, but a few boys continued to talk to each other, or, in a couple of cases, to themselves. Duklewski set a timer for 15 seconds. Four seconds later, a student started talking. Less than three months into his first year of teaching, Duklewski exuded the confidence of a more experienced teacher. But his second-period class was difficult compared to the other four classes he’d been teaching, a difference he attributed to several strong personalities and too many students—33, far bigger than his other classes. Although classroom management is one of the most important topics for new teachers, it is one of the least taught in preparation programs, said NCTQ’s Walsh. “Programs swear up and down that they teach this stuff … [but] there’s little evidence that they’re being taught it,” she said. In fact, a 2013 report by NCTQ found that many teacher-preparation programs fail to teach certain aspects of classroom management. Of 122 programs examined by NCTQ, the majority focused on the setting up of routines and rules in classrooms, an important skill. But 74 percent did not teach teachers how to use praise in their classrooms to reinforce positive behavior or other day-to-day tricks to keep classes focused and get unruly kids under control. “If a teacher can’t manage a classroom, nothing they’re going to do will be successful.”For Duklewski, talkative students can be irritating, but they’re not enough to make him quit teaching. By December, his second-period class was getting better; during the fall, he had started giving students the chance to earn the right to come to his classroom during lunch and watch cartoons on Fridays. (He nixed the cartoons before winter break.) He moved one particularly energetic student to the back of the classroom where he could sit on a window ledge, stand up or move around without distracting other students. His class-points system, however, had fallen apart. Right before winter break, Duklewski switched to an individual-point system to reward students for independent behavior. Students could earn points by being on-task, finishing the class warmup first, or answering questions correctly. They could then earn small prizes, like pencil sharpeners, or larger prizes, like “renting out” his classroom for lunch with friends. He also switched from pointing out negative behavior to pointing out positive behavior. Sometimes he found that just announcing what students were doing—“Jimmy is working on his warmup”—made a huge difference. And only a few weeks into the new system, Duklewski said that the changes were both improving student behavior and his own sanity. “I’m just happier, because I’m saying good things all the time instead of harping on bad things,” Duklewski said. Happiness is relative for a new teacher. Since Duklewski took over his own classroom last September, it’s been nearly impossible to balance his workload with his personal life, a problem many new teachers experience. Every morning Duklewski wakes up by 5:30 and he tries to be in bed by 9 p.m., although he often stays up late preparing lessons. He saves time by not eating breakfast in the morning and has 35 minutes to eat lunch—15 minutes of which is taken up by hall duty or checking on students in the cafeteria. After 13 to 15 hours at school each day, he drives home, eats dinner, watches a little television, and packs his lunch for the next day. His weekends are mostly filled with grading. Moving from a role as a student teacher to a full-time classroom teacher was a bigger jump than he had expected. He realized after his first week that there were many things he didn’t know, like the exact procedure for a fire drill. Or how to balance teaching with noninstructional duties like communicating with parents, filling out attendance, and responding to each day’s barrage of emails. On a rainy January day, Duklewski stood in front of his fourth-period class having already downed several cups of coffee to keep up his energy. At 10 p.m. the night before, he had thrown out his lesson plan on monologues, and then stayed up until 1 a.m. reworking it to include video examples. Students were transfixed. After watching monologues from The Lion King, Harry Potter, and The Incredibles, the class discussed the purpose of a monologue. Duklewski then instructed them to write their own, using point of view and voice. On a worksheet, students answered questions about who they would be, why they were talking, and who they were talking to. Kids erupted into excited chatter as they began to plan and write their monologues. 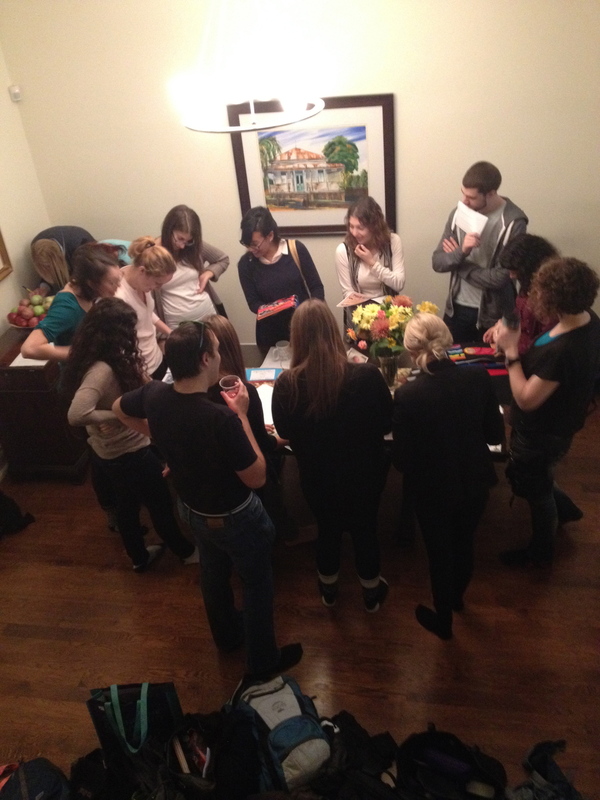 When the class ended, students filed out still chatting about their monologues. Oner bonus of an engaging lesson, Duklewski added, is that students stay on task and he doesn’t deal with as much misbehavior. Duklewski was assigned a consulting teacher who observes him every two weeks. After those observations, he has a chance to discuss the lesson and receive feedback, such as on his classroom management approach or his use of tests. Next year, he wants to do a better job using student data to plan lessons that touch on the skills students are lacking—something he rarely had the chance to do this year because of all the other demands of his classroom and the hours spent preparing lessons. He also wants to get better at long-term planning. And he’s learned from his challenging second-period class that it pays to set up better rules and classroom procedures from the beginning of the year. As spring break approached, a series of snow days and holidays threw Duklewski’s students off track. He increased the number of phone calls home to parents and doubled down on his positive praise. “I think we’ve come to some sort of understanding about how we’re all going to get along in class,” Duklewski said. He was also getting the hang of balancing his schedule, and had cut his work hours down—to less than 12 hours a day. It helped that he was seeing academic growth. On standardized writing assessments, the class average had gone up by about 50 percent in most of his classes. On reading tests, scores were also rising steadily. I (Clive) have long believed in having a warm, friendly class community and a good teacher-student relationship. However, my understanding of what this means continues to grow. This term in my graduate course with 22 students I seemed to develop a closer bond with my students than ever before. As time went by, each would greet me in a friendly, open way with a smile on their face. They told me more personal information about themselves (often in emails about why they couldn’t be at class that evening!) Before and after class, at the break or in emails, they shared with me (and I discussed with them) individual matters, e.g., interest in going on to doctoral work; wanting to teach high school rather than elementary; wanting to take an individual reading course; moving from the public to the private school sector; the struggles of teaching while raising 3 children; not really wanting to be a teacher. This was quite apart from the help they received by discussing their individual concerns. Sometimes people worry about an overly close relationship between teachers and students. However, a sensible teacher can figure out what is appropriate and what is not; and in general I feel we are still far too removed from our students. We need to be constantly developing appropriate links with our students, rather than being afraid of links in general. In terms of appropriateness, one important point is to avoid having favorites. We should go out of our way to have meaningful conversations with – and hence get to know – every single student in our class. They will really appreciate it and our own teaching experience will be enhanced.